CAMPBELL, JOHN, Presbyterian minister, educator, and author; b. 1840 in Edinburgh, second of six surviving children of James Campbell; m. 23 Sept. 1875 Mary Helen Playfair in Yorkville (Toronto), and they had three sons; d. 30 July 1904 on Yoho Island, Ont. John Campbell’s family moved to London, England, in the early 1840s when his father became an agent there for the publishing firm Thomas Nelson and Sons. John’s education began at Roxburgh House Proprietary School, London. In 1854 he studied French and German with a minister in Jägerthal (Germany), a small town near the border with France. While on the Continent he visited several cities in northwestern Europe. He then entered his father’s agency and later moved with him to New York City, where James Campbell helped set up a branch of the company. Soon afterwards the family settled in Toronto. There, Campbell Sr eventually started his own publishing business. John probably helped his father, and he joined several literary societies and other organizations. In 1860 he had decided to enter the ministry of the Free Church and the following year he enrolled at the University of Toronto. He was a brilliant and busy student, winning scholarships and awards, including three prizes for poetry. He graduated in 1865 with honours, the Prince of Wales Medal, and two gold medals. While pursuing an ma, which he completed in 1866, he entered theological studies at Knox College. There his academic abilities again earned him the Prince of Wales Medal. Campbell became a sergeant in the 2nd Battalion, Queen’s Own Rifles, and, along with a brother, was present at the battle of Ridgeway in 1866 [see Alfred Booker*]. He was a co-founder of the Toronto branch of the Young Men’s Christian Association and during his first summer as a student missionary he worked among lumbermen. The following summer he organized congregations at Orangeville, Mono Mills, Cedar Grove, and Stouffville. His third year in theology was spent in Scotland at the Free Church’s New College, Edinburgh, after which he toured northwestern Europe with a sister. On his return to Toronto in 1868 he was licensed to the ministry and called to Charles Street Presbyterian Church. 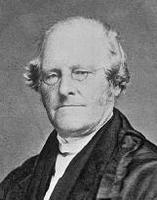 During his five years at the Charles Street church, Campbell was appointed to the senate of the University of Toronto and served as university examiner in history, English, and metaphysics. When Professor William Hincks* of University College became ill, Campbell took over his classes in natural history, and in 1871 he was appointed to teach church history at Knox for the academic year 1871–72. In 1872–73 he taught for three months at Knox College and for three months at the Presbyterian College of Montreal. At the end of the academic year he was given the professorship of church history and apologetics at the Presbyterian College of Montreal. During most of the next 31 years, in addition to teaching, he was to serve as the college’s registrar and as secretary of its senate. He and his wife would be members of a French-speaking Presbyterian congregation in Montreal. 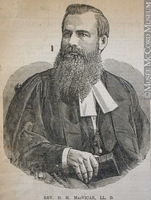 In the early 1870s Campbell was editor of the Canada Presbyterian Church’s Home and Foreign Record (Toronto). More impressive, however, is his extensive list of publications, including both scholarly and polemical articles, in journals such as the British and Foreign Evangelical Review (Toronto), the Canadian Naturalist (Montreal), the Princeton Review (New York), the Canadian Journal (Toronto) and its successor, the Transactions of the Canadian Institute, the Journal of the Presbyterian College of Montreal, the Presbyterian (Montreal), and the Transactions of the Literary and Historical Society of Quebec. He also published numerous reviews and Sundays in Yoho (1884), a volume of his story sermons for children delivered at non-denominational religious services held during his summer holidays in the Muskoka region. Under the pen-name J. Cawdor Bell he published a novel, Two knapsacks, in 1892. Set in the Muskoka region, the work describes the social conditions of the region’s inhabitants and reproduces a variety of the dialects found in Ontario at the time. His major publication was a two-volume study, The Hittites (1890), in which he claimed this ancient people to be the ancestors of the Japanese, Albanians, Basques, Iroquois, Mexicans, and Peruvians. A decade later he made a similar claim for a Canaanite diaspora. An anonymous reviewer called The Hittites an uncritical work that would, none the less, “speedily gain a foremost place in anthropology.” The Toronto Empire described its author as “an ethnologist of note and a scholar of rare distinction and industry,” but later critics, with reason, considered him an academic dilettante. Campbell’s academic career was marked by membership in a wide variety of learned societies. He was appointed an official representative of the Société d’Ethnographie de Paris, honorary local secretary of the Victoria Institute, London, and corresponding member of the Société Américaine de France and the State Historical Society of Wisconsin. He was also a member of the Canadian Institute, the Natural History Society of Toronto, the Celtic Society of Montreal, the Philhellenic League of Turin, Italy, the Punjab Society of Lahore (Pakistan), and the Society of Biblical Archæology in London, as well as a fellow of the Royal Society of Canada. In 1881 he was awarded the gold medal of the Société d’Ethnographie de Paris, and he would later receive its silver and bronze medals. The University of Toronto conferred an lld on him in 1889, in recognition of his anthropological research and his achievements in philology and linguistics. He was also accorded the ribbon and medal of the Order of Merit, first class, from King Carol I of Romania. Esteemed by his fellow ministers and many academics, Campbell was revered by his students as “a professor of rare erudition and wide and accurate scholarship.” He was known as “an indefatigable student” because of his studies in history, philology, palæology, and particularly ethnology, for which he had “a singular passion.” His linguistic abilities and breadth of knowledge added entertaining digressions to his lectures. Many were attracted by his charming personality, contagious enthusiasm, and chivalrous sense of honour. He had the respect, confidence, and friendship of his college’s principal, Donald Harvey MacVicar, although MacVicar’s biographer commented that “scarcely two men could have been found more unlike in their temperaments, habits, tastes and convictions.” One bond between them was an interest in the evangelization of French Canadians. Both defended the controversial Charles Chiniquy*, even when threatened by mob violence. Some contemporaries, however, accused Campbell of “intellectual hauteur” and an explosive temper, and felt that his religious zeal at times carried him beyond the bounds of prudence. Campbell’s place in Canadian history was established not by his writing but by charges of heresy brought against him. In an address presented to students of Queen’s College in Kingston, Ont., on 26 Feb. 1893, entitled “The perfect book or the perfect father,” he made statements that many believed were subversive of truth and opposed to the teachings of Scripture. The Presbytery of Maitland attempted unsuccessfully to bring the matter before the church’s General Assembly in June, but later that month the Presbytery of Montreal discussed the charge that Campbell denied the entire inerrancy of the Old Testament. Although facing a possible trial, Campbell would retract nothing, admitting only that he had spoken “somewhat strongly” in his address. The ending of the trial lifted Campbell’s year-long suspension from teaching, but divisions within the faculty remained. When MacVicar died suddenly in December 1902, Campbell was appointed acting principal, but the senate named Scrimger and Professor James Ross to manage the college’s internal affairs. At the General Assembly of the Presbyterian Church in Canada the following year Campbell voiced his claim to be made principal and later refused the college board’s request that he withdraw his name. When the board recommended the appointment of Scrimger, which the General Assembly approved in June 1904, Campbell immediately resigned. Eight weeks later he died in his sleep at his summer home in Muskoka. A listing of more than 40 of John Campbell’s publications up to 1894, notably articles in various periodicals, appears in RSC Trans., 1st ser., 12 (1894), proc. : 20–21. Some of these works, and others of Campbell’s publications, have been microfilmed by the CIHM and are listed in its Reg. The CIHM collection includes Campbell’s principal works, The Hittites: their inscriptions and their history (2v., Toronto, 1890) and Two knapsacks: a novel of Canadian summer life (Toronto, 1892), as well as Sundays in Yoho: twelve stories for children and their friends, edited by his wife, Mary Helen [Playfair] Campbell (Montreal, 1884). AO, RG 80–5, no.1875-212411. Presbyterian Church in Canada Arch. (Toronto), [Robert Campbell], “Defense of presbytery’s action before synod, against J. Campbell” (doc. held in retentis [i.e. access restricted] by order of the Synod of Quebec and Eastern Ontario); Presbyterian Church in Canada, minutes of the Presbytery of Montreal, 1893. Canadian men and women of the time (Morgan; 1898). J. A. Johnston, “The Presbyterian College, Montreal, 1865–1915” (ma thesis, McGill Univ., Montreal, 1951). J. H. MacVicar, Life and work of Donald Harvey MacVicar, d.d., ll.d. (Toronto, 1904). H. K. Markel, History of the Presbyterian College, Montreal, 1865–1986 (Montreal, 1987). J. S. Moir, Enduring witness: a history of the Presbyterian Church in Canada (2nd ed., [Toronto, 1987]); A history of biblical studies in Canada: a sense of proportion (Chicago, 1982). Presbyterian Church in Canada Acts and proc., 1905; [Presbytery of Montreal], Synopsis of minutes of presbytery and documents relating to the case of Professor John Campbell, ll.d. (for the use of members of court) ([Montreal, 1893? ]; copy at UCC-C). Presbyterian College of Montreal, Journal, 1 (1881–82)–29 (1909–10). Presbyterian Record, 19 (1894): 143. Presbyterian Rev. (Toronto), 10 (1893–94): 68, 72–73, 108, 164, 167–72, 239, 801, 842–43, 851–55. John S. Moir, “CAMPBELL, JOHN (1840-1904),” in Dictionary of Canadian Biography, vol. 13, University of Toronto/Université Laval, 2003–, accessed April 22, 2019, http://www.biographi.ca/en/bio/campbell_john_1840_1904_13E.html.